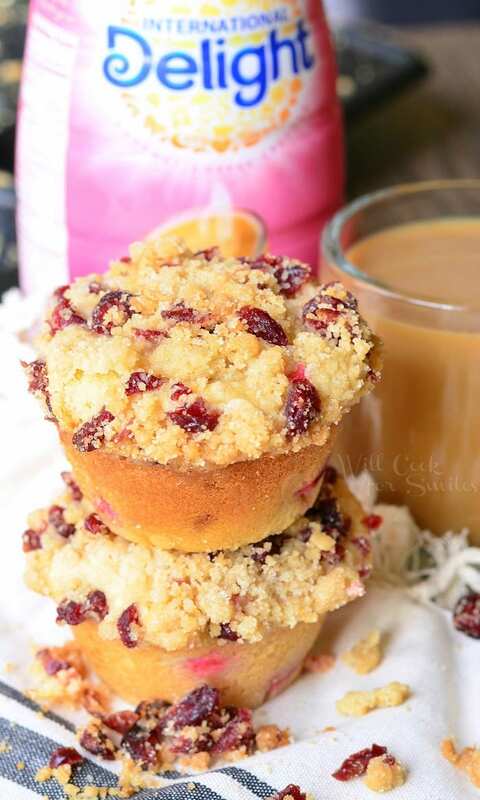 Scrumptious, soft muffins made with fresh cranberries and white chocolate chips. 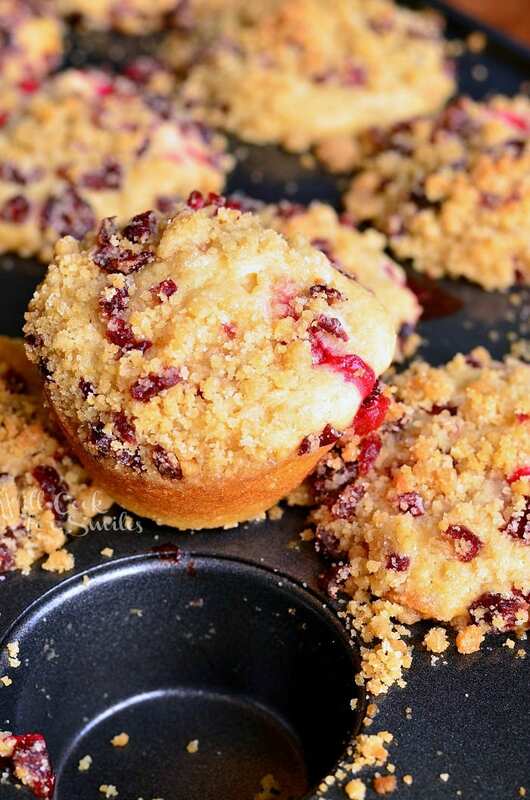 These tasty muffins are also topped with sweet cranberry streusel. I hope you are having a nice holiday season because over here, my head is spinning. Seems like between family craziness, work craziness, school craziness, looking for a new house and my little man starting new school, I’m pulled in a hundred different directions. I can’t wait to get a little break, which I’m hoping will come soon, very soon. Meanwhile, an afternoon coffee break is a must, I can’t survive the day without a couple cups of coffee. You know what goes great with coffee? Muffins! It’s been a while since I had a homemade, fresh-from-the-oven muffin. 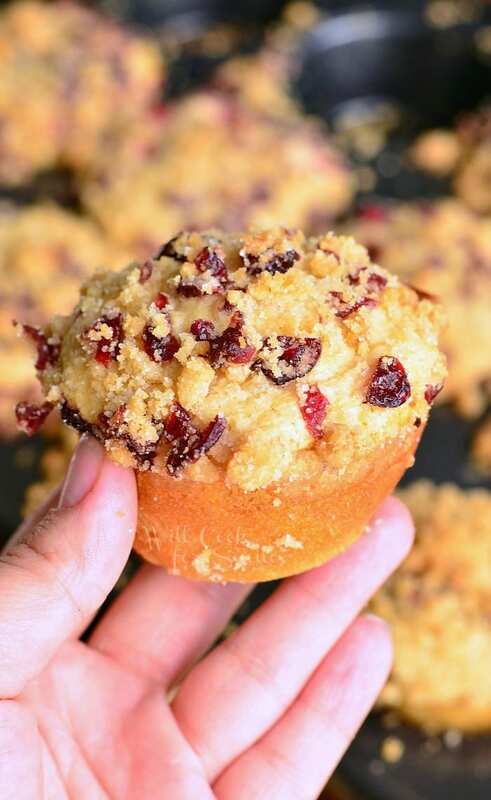 So instead, I offered to bake some muffins with cranberries and throw on some streusel since he was still a little hesitant after the fresh cranberry taste. Streusel always sweetens the deal. I threw in some minced dried cranberries into streusel too. Muffins came out awesome and that streusel definitely put them over the top. 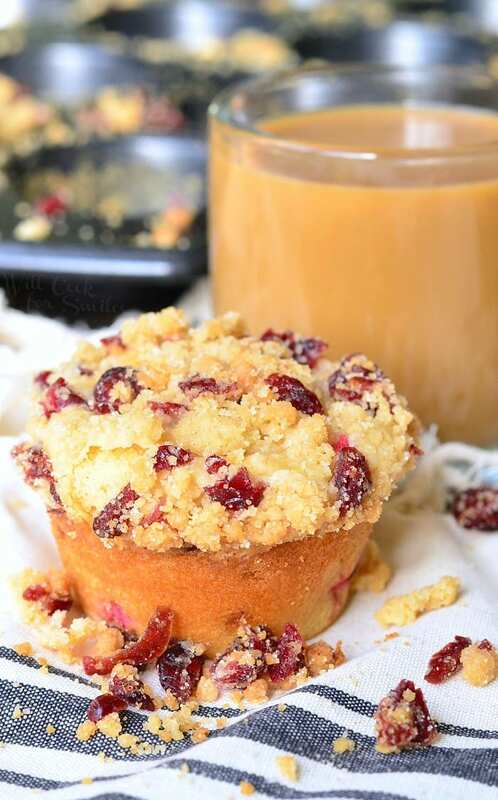 I got inspired to make some cranberry white chocolate chip muffins after having my morning coffee with White Chocolate Raspberry International Delight creamer. 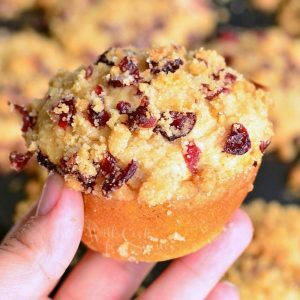 It’s one of my favorite flavor combinations and I wanted to make the muffins a little more festive by using cranberries. Although, whole raspberries can definitely be substituted here. Preheat the oven to 350 and grease a muffin pan with some baking spray. In a large mixing bowl, whisk egg, sugar, melted butter, sour cream, vanilla and milk. 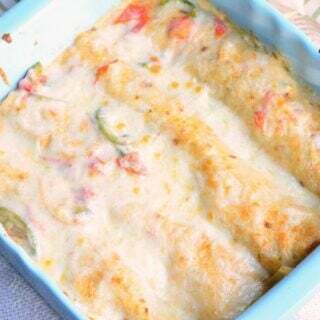 Sift in flour, salt and baking powder. Whisk together until smooth. 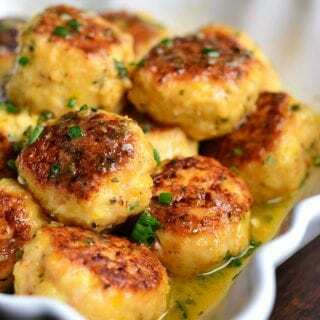 Fill the muffin pan cups ¾ full with muffin batter and set aside. In a medium bowl, combine brown sugar, white sugar and flour. 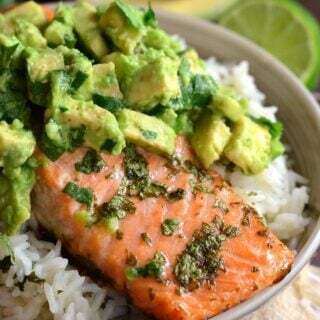 Mix well until all ingredients are incorporated evenly. 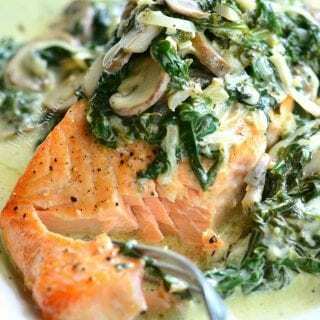 Pour in melted butter and carefully fold it in with a large fork. You will want to be careful so you don't over-mix. Streusel should look like large crumbs and not paste. 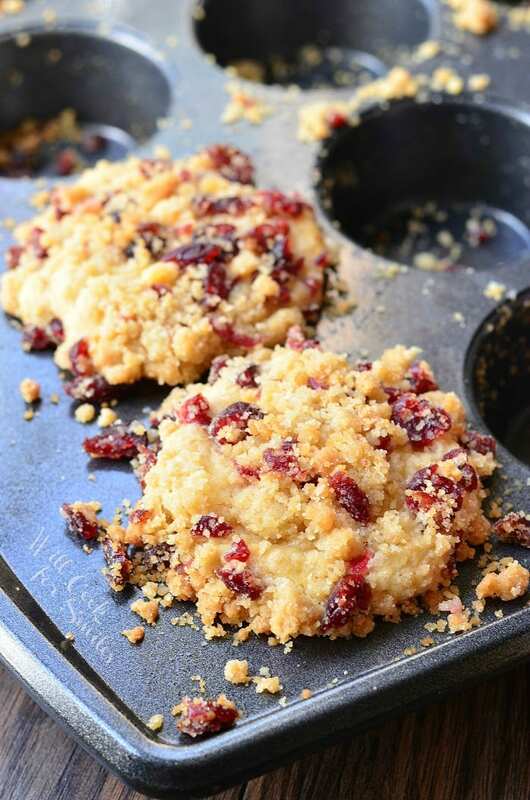 Fold in minced, dried cranberries into streusel crumbs. 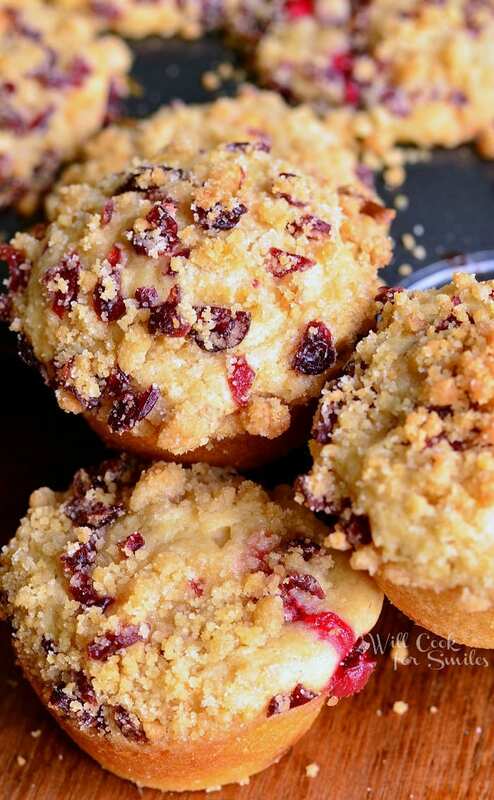 Sprinkle about two tablespoons of streusel on top of each muffin. 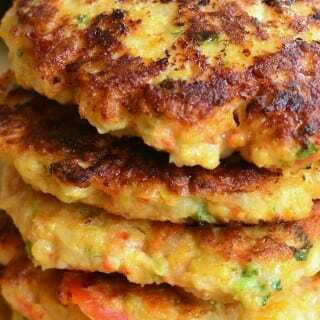 Bake for 27-30 minutes (Do a toothpick test to check if they are done. Tip: insert the toothpick in the batter part and try not to hit a cranberry). Make sure to sign up for International Delight Newsletter and don’t forget to visit International Delight onFacebook and Twitter and don’t miss any promotions, sweepstakes and coupons! 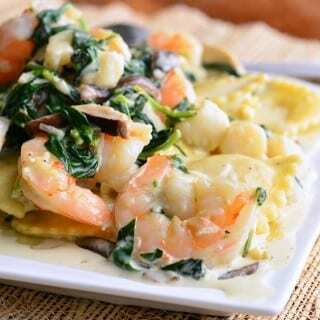 For more recipe ideas, visit International Delight on Pinterest. I am glad you made more than one. Great flavors and textures. Me too 🙂 Thank you, Amy!! Can frozen cranberries be used? I have bags and bags of them from last year ! I haven’t tried baking with frozen cranberries but I don’t see why not. Just let them defrost first and make sure there is no extra liquids when you’re adding the cranberries. Fold them gently.